I can't speak to the kind of summer Humboldt is having so far. I've been in Portland for two months for a teaching gig; by the time this column hits the streets, I'll just be getting home for the first time. But it's probably safe to assume that Humboldt, like Portland, has not seen much sun so far this spring. When it does come out, it's an excuse for a party. So. Summer is here, more or less, and that means that you need to break out the punches. Not that dreadful stuff made with Sprite and sherbet and the worst possible vodka, but a nicely-made, Victorian-style punch, served in that punchbowl you never get to use, or a repurposed pickle jar, or whatever other sort of urn you happen to have around. If you don't have the matching glasses that once came with your punchbowl, teacups make a weird and elegant substitute, as do Mason jars. I'm having a little party here in Portland before I come back to Eureka, and I promised my fellow faculty members that I'd come up with literary-themed punches. There is such a thing as a Dickens punch; there is also a Hemingway punch. But we decided to look for less obvious choices, and to drink to women writers for once. So here are three summery punches to try when the sun comes out. Keep plenty of ice on hand, but don't fill the punch bowl with ice -- let people add it to their glass instead. And remember that these are only guidelines. Punch, like soup, should never be made with very precise quantities of anything. Mix, taste, adjust, mix -- and taste again. Before Annie Proulx became Annie Proulx, she was a how-to writer. She wrote a book about salad gardening and one about constructing insulated window shutters. She wrote about growing grapes and building walkways and making your own food from dairy products. And, with co-author Lew Nichols, she wrote what is still the definitive guide to making hard cider, called Cider: Making, Using & Enjoying Sweet & Hard Cider. She was in her 50s before her first collection of fiction was published. The Shipping News was released, and won a Pulitzer and a National Book Award, when she was 58. Combine all ingredients in a punchbowl. Standing on the veranda I breathed the sweetness of the air. Cloves I could smell and cinnamon, roses and orange blossoms. And an intoxicating freshness as if all this had never been breathed before. When Antoinette said 'Come, I will show you the house' I went with her unwillingly for the rest of the place seemed neglected and deserted. She led me to a large unpainted room. There was a small shabby sofa, a mahogany table in the middle, some straight-backed chairs and an old oak chest with brass feet like lion's claws. Combine all ingredients in a punchbowl. Make whatever fruit juice substitutions you wish to make. 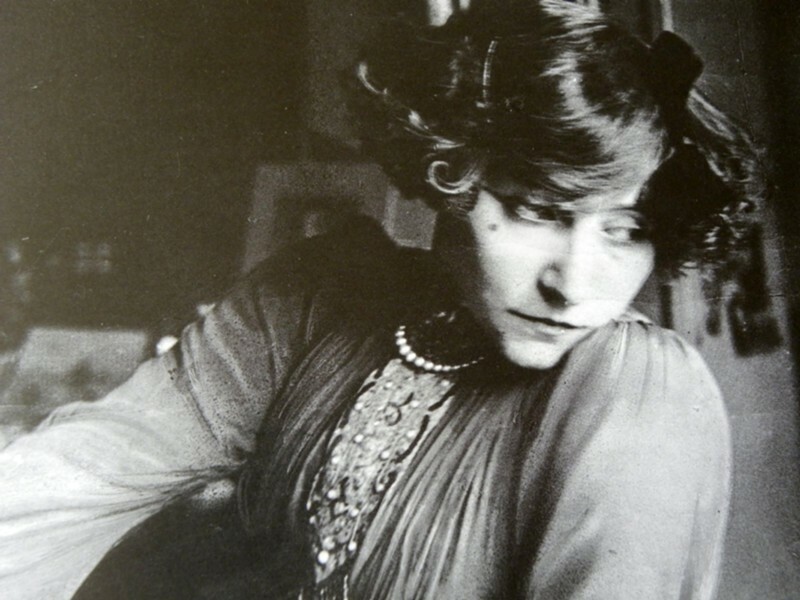 In 1947, when she was 74 and too arthritic to get out of her Parisian apartment, Colette was given the sort of assignment that only she could attract: Swiss publisher H. L. Mermod offered to send her bouquets of flowers that she would use as inspiration for a series of essays. The result was a book called, in translation, Flowers & Fruit. In this passage, she rejects his latest floral tribute in favor of the more foul and deadly elements of the plant kingdom. I prefer the harsh fragrance that rises from a slightly sinister or medicinal herb, supposedly poisonous, to that of the insipid elder or even to that of the privet ... what a splendid incense to my independent and capricious olfactory nerve system is provided by the wild onrush that rises, in summer, from chlorophyll leaf-green ripped off in a storm, the iodine deposited at every low tide, the stench belched forth by the kitchen garden that can contain it no longer, from the heaps of rotting vegetal rubbish in which ferment a congeries of black currant marc, uprooted fennel, and old dahlia bulbs! This punch might be too pretty for Colette. It is not deadly, at least in reasonable quantities. G'vine is a type of French gin made from a distillation of the same grapes used to make cognac. It is flavored with the essence of grape blossoms, as well as nutmeg, coriander, cubeb, ginger, licorice, green cardamom, cassia, and juniper. If you can't get this, try Square One Botanical, which is somewhere between gin and a floral flavored vodka. Hendrick's would also work.